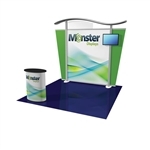 Choosing your trade show display can become a little overwhelming, but at Monster Displays we make it simple and easy. 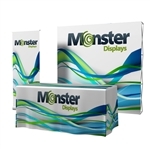 These displays are available in many different styles and sizes offering you a diverse selection to choose from, including but not limited to, pop up displays, banner stands, kiosks, hybrid displays, table top displays, tension fabric displays, truss displays and island displays. Call 1-888-323-6995 and allow one of our trade show specialists to guide you to the perfect trade show display that suits your needs. Monster Price: $205.00 Bulk pricing available! Kit Includes: Frame, Graphic, and Bag w/ Wheels. Includes: Frame, Graphic, Carry Bag with Wheels. Includes: Hardware Kit, (2) Lights, Center, Wing, and Header Graphics, and Shipping Case(s). Kit Includes: Hardware Kit, (2) Lights, Center, Wing, and Header Graphics, and Shipping Case(s), (1) SOLO Standard Counter, Carpet Flooring. Kit Includes: (3) Frame, (3) Graphic, and (3) Bag w/ Wheels. Includes: Frame, Graphic, and Bag w/ Wheels. Includes: (3) 36"W ROLLO Diamond Retractable Stands, (3) Graphics, (3) 3 pc Poles, (2) Connectors, and (3) Soft Carry Cases. Includes: Frame, Photomural Panels, Lights, Channel Bars, Shipping Case and Case to Counter Graphic Wrap. Kit Includes: (1) Frame, (1) Full color graphic, and (1) Soft bag w/ wheel trolley. Includes: Hardware, Headers & Graphic Panels, (2) Tables, (4) Lights, (2) Mounts, (3) Shelves, and Cases. XRLine 10ft Hybrid Display - Includes wheeled case. Includes: 2 Frames, 2 Graphics, 2 Carry Bag with Wheels. The simplest backwall starter within a budget, for a dynamic and brilliant exhibition. Kit Includes: (7) Tall panels w/ graphics, (4) Half panels w/ graphics, (2) Arches w/ graphics, (1) Monitor mount w/ shelf, (3) Shelf panel, (1) Counter, (1) Shipping crate. Kit Includes: SEG ready frame, SEG fabric graphic, and bag w/ wheels. Kit Includes: SEG Tabletop ready frame, SEG fabric graphic, and bag w/ wheels. Includes: Hardware Kit, (4) Lights, Center, Wing, and Header Graphics, and Shipping Case(s). Includes: Standard, Solo, Pronto Post and Shipping Box. Graphics not included. Includes: (1) Header, (3) Panel Fabric/Dry Erase Panels, and Soft Carry Case. Includes: Panels, and Soft Case. Includes: Frame, Graphic, and Carrying Bag. Includes: Frame, Graphic and Soft Bag w/ Wheels. Kit Includes: (9) Tall panels w/ graphics, (4) Half panels w/ graphics, (2) Consoles, (1) Shipping crate. Kit Includes: (1) Banner Stand, (1) Telescoping Pole, (1) carry bag. Kit Includes: (1) Banner Stand, (1) Graphic, (1) Telescoping Pole, (1) carry bag. 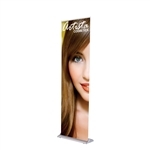 Includes: 33" Banner Graphic, Round Stand, Stability Foot, 3 pc Pole, and Carry Bag. 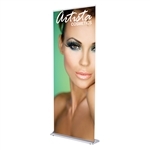 Includes: (3) Medium Standard PUNTO, (3) Banner Graphics, Hanging Hardware, and (3) Carry Bags. Includes: Small Custom PUNTO, Banner Graphic, Hanging Hardware, and Carry Bag. Includes: Graphic, Banner Stand, Plastic End Caps, 3 pc Pole, and Carry Bag. Includes: (3) Graphics, (3) Banner Stands, Plastic End Caps, (3) 3 pc Pole, and Carry Bags. Kit Includes: Tent frame, canopy, bag with wheels, stake kit. Kit Includes: Tent frame, full color canopy, full color wall, two full color half-walls, and bag. Kit Includes: 20' Tent frame, full color canopy, full color wall, two full color half-walls, and bag. Kit Includes: Hardware, Graphic, Pole with bungee, Feet, Stakes, and Soft Case. Includes: Tent frame, dye-sub canopy, dye-sub backwall, and stake kit. Kit Includes: (1) Tent frame, (1) canopy, (1) backwall, (2) half walls, and dust cover. Includes: Tent frame, canopy, backwall, extra support poles, dust cover, 8ft Table throw, and (2) Directors chairs. Includes: Tent frame, canopy, backwall, two half-walls, soft carry bag, Round Table, Dye Sub Table Cover. Kit Includes: (1) Aluminum banner frame, (1) Full color fabric graphic, and (1) Hanging harness. Includes: SOLO Standard Podium/Counter, (2) Shelves, and Shipping Box. Graphic not included. Includes: Top, Base, Shelf, (2) Magic Tensaflex, and Shipping Box. Graphics not included. Includes: Top, Base, One Shelf All Black Laminate, One Plastic Tensaflex, and Shipping Box. Graphics not included. Includes: Magic Cafe chair and Shipping Box. Graphic not included. Includes: SOLO Square Table and Shipping Box. Graphic not included. Kit Includes: (1) SOLO Square Table, (4) Cafe Chairs and Shipping Box. Graphic not included. Includes: SOLO Boomerang Counter, (1) Shelf, and Shipping Box. Graphic not included. Includes: Top, Base, Tensaflex, All Black Laminate, and Shipping Box. Graphics not included. Includes: Table Cover and Full Dye Sub Print. Includes: ENERGY 300 Case, Lid, (4) Latches, Wheels, and Light Storage. Includes: Hardware, Oval Header Graphic, Graphic Panel & Wings, (2) Tables, (2) Lights, (2) Literature Holders, and Cases. Includes: Flooring Tiles and Shipping Box. Includes: Truss, Lights, and Shipping Cases. Includes: Hardware, Header Panels, Graphic Panels, Counter, (2) Lights, (4) Literature Holders, and Cases. Includes: Flooring Tiles and Shipping Boxes. Includes: SOLO Evolution Standard, Shelves, and Shipping Box. Graphics not included. Includes: Table Cover with backside zipper, & Front Panel Dye Sub Print. Includes: Case, Latches, and Wheels. Includes: Hardware, Graphic Panels, Counter, (2) Lights, (4) Literature Holders, and Cases. Includes: Top, Base, (2) Shelves, Locking Door, Black Laminate, Tensaflex, and Shipping Box. Graphics not included. Includes: (1) Top, (1) Base, (1) Shelves, Black Laminate, Plastic Tensaflex, and Shipping Box. Graphics not included. Includes: Hardware, Graphic Headers & Panels, (2) Tables, (2) Literature Holders, (2) Shelves, (4) Lights, (2) dBs Mounts, and Cases. Includes: (2) Solo Standards, Connector, and Shipping Boxes. Graphics not included. Includes: Expo Case, Handle, Security Straps, and Wheels. 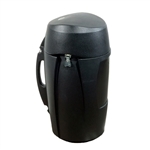 Includes: Case, Case Lid, Handle, Strap with Security Latch. Wheels not included. Includes: Hardware, Header & Panel Graphics, dBs Mount, (2) Tables, (4) Lights, (4) Shelves, and Cases. Includes: (2) SOLO Post, (1) Connector, (2) Locking Doors, (1) Header Substrate, and Shipping Boxes. Graphics not included. Includes: (1) Solo Evolution Standard, Solo Evolution Wing, Graphic Wrap, and Shipping Boxes. Includes: 8ft Table Cover, Full Coverage Dye Sub Print. Includes: 8ft 3 sided Fitted Table Cover with full color dye-sub graphic. Includes: Table Cover and Front Dye-sub graphic. Includes: Case, Case Lid, Handle, Strap with Security Latch. Includes: Quattro Standard, Quattro Glass Counter, Connector, Graphics, and Shipping Boxes. Includes: Medium 50" Smart Graphics Tube, and Wheels. 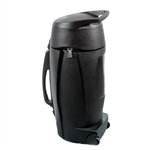 Includes: Display Carry Hard Case, Handle, and Security Straps. Includes: (2) SOLO Curvo w/ Shelves, Connector, (2) Locking doors, Graphics, Header Substrate, and Shipping Boxes. Includes: 280 Omni Case, Handle, and Security Straps. Includes: 8ft Table Cover with full color print. Includes: Table Cover, and 1Color Imprint. Includes: Square Top, Base, (2) Shelves, Black Laminate, Cable Grommets, and Shipping Boxes. Graphics not included. Includes: Carpet Tiles and Shipping Box. Includes: SOLO Curvo, (2) Curvo Shelves, and Shipping Box. Graphics not included. Includes: (3) Solo Standards, Jaxx Connector, Graphics, and Shipping Boxes. Kit Includes: (2) Quattro Standards, Connector, and Shipping Boxes. Includes: SOLO Bag, Shoulder Strap, and Wheels. Includes: Table Cover, Front Panel Dye Sub Print. Includes: Table Cover and Front Panel Print. Includes: Table Cover and Front Panel Dye Sub Print. Includes: Square Top, Base, (2) Shelves, Black Laminate, 700 Square Top Wing, Cable Grommets, and Shipping Boxes. Graphics not included. Includes: Biscotti Bag, Shoulder Straps, and Wheels. Includes: Table Cover, Full Coverage Dye Sub Print. Includes: Table Cover and 1 Color Imprint. Includes: Carpet Tiles and Shipping Boxes. Includes: Solo Standard, Glass Case, Shelves, and Shipping Box. Graphics not included. Includes: Two tops, two bases, all black laminate. Plastic Tensaflex: 1 base wrap, 1 header wrap. Acrylic: 4 shelves, three panels, two locking doors. Four metallic support beams. Shipping Boxes. Graphics and lamp not included. Includes: SOLO Curvo, and Shipping Box. Graphics not included. Includes: SOLO Curvo, (2) Curvo Shelves, 700 Wing and Shipping Box. Graphics not included. Includes: Oval Top, Base, Cable Grommets, iPad Mount, Printed Graphics and Shipping Boxes. Includes: (1) Solo Evolution Standard, (2) Solo Evolution Wings, (1) Graphic Wrap, and Shipping Boxes. Includes: Quattro Display Case, Wing, Graphics and Shipping Boxes. Includes: Quattro Curvo, Quattro Glass Counter, Quattro Connector, and Shipping Boxes. Includes: Solo Standard, (2) 700 Wings, (2) 500 Wings, Graphics, and Shipping Boxes. Includes: Table Cover Blank. Select your preferred fabric and imprint option. Includes: Quattro Curvo, Shelves, and Shipping Box. Graphics not included. Includes: (2) Quatrro Curvo, (2) Locking doors, (1) Connector, (1) Graphics , (1) Graphic Header, (4) Shelves, and Shipping Boxes. Includes: Quattro Post, and Shipping Box. Graphics not included. Includes: (2) Evolution Standards, Evolution Connector, (2) Locking Doors, and Shipping Boxes. Includes: (2) SOLO Curvo with door, Connector, Header Substrate, and Shipping Boxes. Graphics not included. Includes: Quattro Glass, Header, and Shipping Box. Graphics not included. Includes: (1) Standard, (1) Solo Posts and (1) Shipping Box. Includes: Top, Base, (1) Shelf, Black Laminate, (2) Metallic Posts, Tensaflex, and Shipping Box. 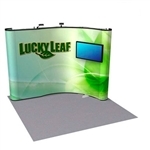 Includes: Banner stand, Base, (3) Graphics, and Travel Bag. Includes: Wing, and Shipping Box. Standard not included. Includes: 500 Wing, and Shipping Box. Standard not included. Includes: Quattro Connector, and Shipping Box. Standards not included. Includes: Connector Jaxx, and Shipping Box. Standards not included. Includes: Connector, and Shipping Box. Podiums not included. Includes: Table Cover, and 1 Color Imprint. Includes: Frame, Hardware, Photomural Panels, and Square Shipping Case. Includes: Frame, Hardware, Photomural Center Panel, Fabric End Panels, and Square Shipping Case. Includes: Acrylic literature holder, and assembly hardware. Includes: Light head, lamp, support arm, and assembly hardware. Kit Includes: Panels, Header Frame, and Shipping Cases. Kit Includes: Panels, Header Frames, and Shipping Cases. Includes: Banner stand. Graphics not included. Kit Includes: Pop Up, Graphic Panels, Lights, Podium, Graphic Wrap. Includes: Stand, and Carry Bag. Includes: Stand, and Aluminum Carry Case. Includes: Stand, and Carry Case. Includes: 275 Omni Case, Handle, and Security Straps. Includes: Hardware, Graphic Headers & Panels, (4) Tables, (2) Literature Holders, (4) Lights, (2) Mounts, and Cases. Includes: Hardware, Headers & Panel Graphics, LCD Mount, (2) Tables, (2) Lights, Shelf, Podium, and Cases. Includes: Hardware, Headers, Graphic Panels, (2) Tables, , (2) Literature Holders, (2) Mounts, and Cases. Includes: Hardware, Oval Header Graphic, Graphic Panel & Wing, Partial Side Wall, Mount, (2) Tables, Light, (2) Literature Holders, and Cases. Includes: Hardware, Graphic Panels, Counter, (2) Shelves, Light, (3) Literature Holders, and Cases. Includes: Hardware, Header & Panel Graphics, dBs Screen Mount, (2) Shelves, (2) Tables, (2) Lights, and Cases. Includes: Hardware, (2) Header, Panel & Wing Graphics, Table, (2) Literature Holders, and Cases. Includes: Stand, Pole, and Soft Bag. Includes: Light head, lamp, and assembly hardware. Includes: Choice of Vinyl stool top color. Kit Includes: Structure, Arch, (3) Lights, (2) Workstations, (14) Shelves, and Shipping Cases. Graphics NOT Included. Kit Includes: Backwall, Arch Canopy, Lights, Semi-Private Divider Wall, Conference Area, Workstation Pedestal, (16) Shelves, (1) Arch Shaped Header Structure, Shipping Cases. Graphics and furniture NOT Included. Includes: Hardware, Header & Graphic Panels, dBs Screen Mount, (2) Shelves, (2) Tables, (2) Lights, and Cases. Includes: Hardware, Header & Panel Graphics, (2) Tables, (2) Literature Holders, (4) Lights, and Cases. Includes: Hardware, Graphic Header & Panels, (2) Tables w/ Storage, (1) Podium, (2) Mounts, (4) Shelves, (4) Lights, and Cases. Includes: Stand, hanging hardware, and carry bag. Includes: (2) 48"W Diamond Plus Banner Stands, (2) Banner Graphics, (2) 3 pc Poles, and (2) Soft Carry Bags. Includes: ENERGY 800 Fabric Wrap, and Velcro. Includes: ENERGY 800 Fabric Case Wrap, ABS Lid Piece, and Magnet Strips. Includes: Energy 800 Graphic Wrap, ABS Lid Piece, and Velcro Strips. Includes: Graphic Wrap, and Velcro Strips. Includes: Energy 300 Graphic Wrap, and Magnetic Strips. Includes: ENERGY 300 Fabric Wrap, and Velcro. Includes: Magnetic Strips and Hardware. Includes: Lamp, Bulb, Cord, and Hardware. : Stand, hanging hardware, and carry bag. Includes: Small Standard PUNTO, Banner Graphic, Hanging Hardware, and Carry Bag. Includes: Medium Custom PUNTO, Banner Graphic, Hanging Hardware, and Carry Bag. Includes: Medium Standard PUNTO, Banner Graphic, Hanging Hardware, and Carry Bag. Includes: Large Standard PUNTO, Banner Graphic, Hanging Hardware, and Carry Bag. Includes: Large Custom PUNTO, Banner Graphic, Hanging Hardware, and Carry Bag. Includes: 270 Soft Panel Case, Zipper, and Handles. Rugged Telescoping Panel Case 24" x 26.5"
Includes: Case, Handle, Straps, and Wheels. Rugged Telescoping Panel Case 40" x 26"
Rugged Telescoping Panel Case 48" x 26"
Rugged Telescoping Panel Case 63" x 26"
Includes: Choice of frame and faux leather colors. Includes: Case, Handle, Lid, and Wheels. Includes: Choice of frame and laminate colors. Includes: Stand, and Telescoping Pole. Includes: QUATTRO Wing, and Shipping Box. Standard not included. Includes: EVOLUTION Connector, and Shipping Box. Includes: EVOLUTION Wing, and Shipping Box. Includes: Light, Power Supply, and Clip. Includes: Expo Graphics Tube, and Wheels. Includes: Large Smart Graphics Tube, and Wheels. Dye Sub Stretch Fabric per sq. ft.
Dye Sub ECO Stretch Fabric per sq. ft.
Includes: Lights, Power Supplys, Power Strips, Clips, and Carry Case. Includes: Light, Power Supply, Power Strip, Clip, Carry Case. Includes: Structure, Tension Fabric Graphics, (2) Workstations, Backwall Counter, (6) Brochure Holders, (2) Shelves, Canopy Down Lighting, and Crate/Tub option. Includes Tension Fabric Graphics ONLY. Monitors and Mounts not included. Includes: Tank Tube, Handle, and Security Strap. Includes: Fixture, Bulb, Cord and (2) Hooks. checklist. Quality is our greatest concern!